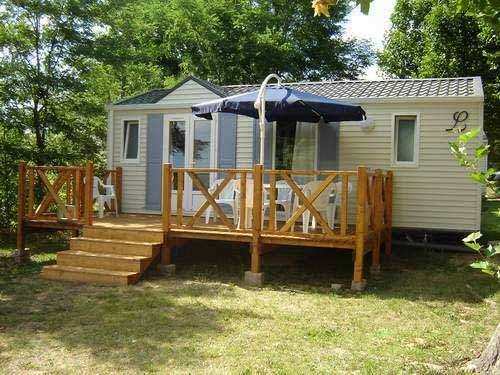 Our roomy mobile homes are well situated, very comfortable and suitable for a maximum of 6 persons. The master bedroom has a double bed ; the second room has twin beds (80cms wide) and the sitting room has a bed-settee for 2 persons. The kitchen has been provided with all amenities and is fully equipped. The WC is separate from the bathroom which has a washbasin and shower. The new spacious terrace (18m²), with amazing view over the valley and towards the Pyrenees) is a delightful spot to enjoy breakfast in the morning or a cool drink in the warm summer (beautiful weather) evenings.